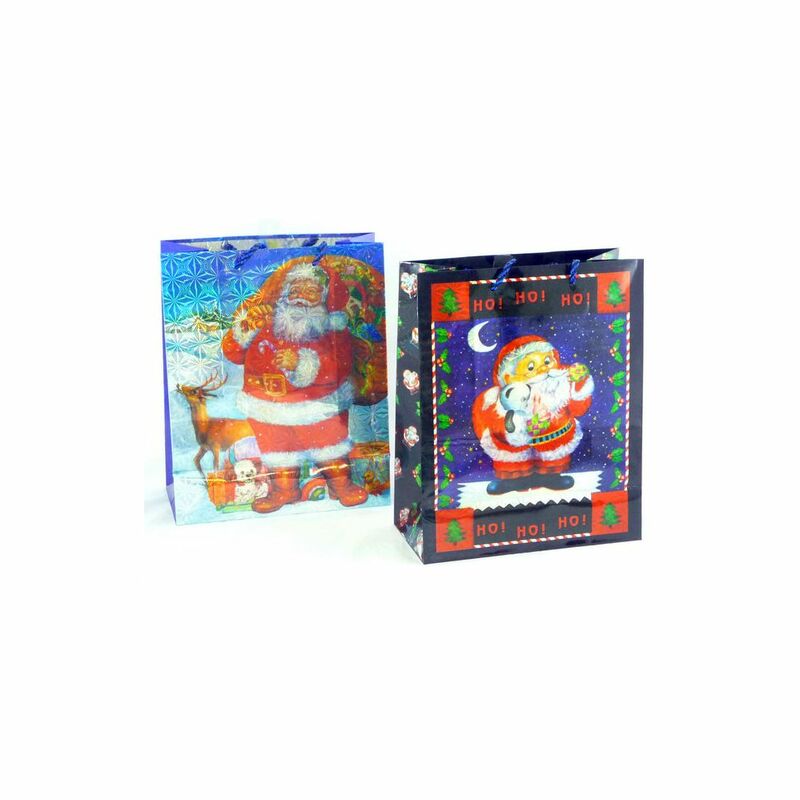 X-MAS LARGE BAG W/WINDOW 6 DESIGNS 10" X 12.75" X 5.25"
X-MAS GIANT BAGS 12 DESIGNS 24" X 16" X 8.5"
Holiday 6 Asst. Medium 7" x 9" x 3.75"
Holiday 6 Asst. Large 10.25" x 12.75" x 5"
Holiday 6 Asst. Jumbo 13" x 18" x 4"
Holiday 6 Asst. X-Jumbo 16" x 19.25" x 7.5"
Assorted colors and styles. 18"x13"4".